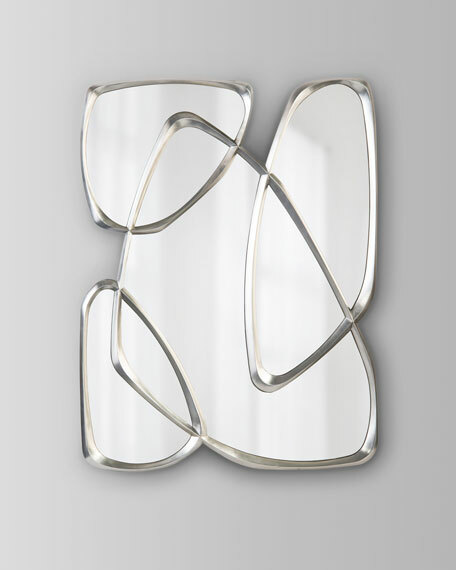 This mirror is a series of pewter finished interlocking organic shapes surrounding plain modern mirrors. 40"W x 2"D x 53"T.
Weight, 73 lbs. Boxed weight, approximately 131 lbs.